On Wednesday March 27th Atlanta FFA students competed in SFASU Invitational CDE contest. It was a huge gathering of FFA members. There were 2,470 individual contestants from all over the state on 640 teams competing in 13 different events. Our Livestock Evaluation team placed 63 out of 107 teams, Horse Evaluation was 55 out of 95 teams, and Land placed 21 out of 29 teams. Even though we did not bring home any Top 5 awards, we are very proud of our contestants accomplishments. 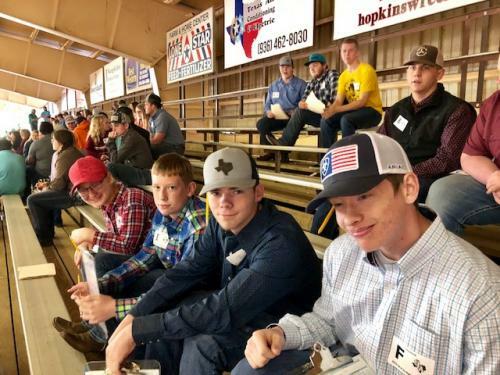 Livestock team members are Jagger Dyer, Daniel Hardin, Abigail Plum, and Ashton Vaughan. Horse team consists J. Joslin, Justin Scott, Erin Landry, and Victoria Scott. Land Team members are Ty White, Noah Hunt, and Jacob Humphrey.